Reactive Maintenance: Expect the best – but prepare for the worst! Preventive maintenance schedules are planned, and their costs sit in the capital planning budget and their schedules reside in the CMMS. But, preventive maintenance isn’t particularly a challenge for Facility Managers and Facility Directors - it’s the unplanned breakdowns of equipment and systems that keep facility professionals up at night. Reactive maintenance can wreak havoc on your scheduled work, stress your maintenance staff to their max with unscheduled overtime and, worst case, cause lost productivity and revenue for your facilities. Obviously, we can’t just eliminate reactive, emergency work all together. As Michael Crowley says “the key is to minimize it.” How minimized? Ideally, reactive maintenance should account for only 10% to 15% of your total facilities maintenance workload. This estimate increases to account for travel time between larger corporate campuses or organizations with multiple locations geographically dispersed. In those cases, reactive/emergency workload goals are closer to 25%-30% of the total facilities maintenance manpower available. In facilities with large maintenance staffs, it may be possible to designate a team solely for reactive or emergency maintenance requests. Typically, reactive teams need specific preparation and training to respond to emergency requests. Well thought out tools, parts, training and ready access to transportation is critical for these teams, per Michael Crowley. Pay special attention to parts and equipment storage areas. Are they well stocked and organized to make identification and retrieval of needed supplies as easy and quick as possible? Further, are those supplies staged properly to help speed up repairs? There are many organizations that don’t have a large enough staff to dedicate a portion to reactive work. In that case, assign one or more technicians to be the Emergency Team when a breakdown is reported. In this way, the rest of your staff – engaged in predictive and planned maintenance tasks – can continue with their schedule unimpeded. Don’t forget that no one is an island! Put processes in place so that this emergency team can cleanly hand off their normally scheduled work when an emergency repair request is received. Make sure that your emergency crew can reach out to the rest of the team for additional assistance in the event that a repair requires additional experience or knowledge. Facility Managers also need to keep travel time in mind. As we indicated earlier, travel time between facilities can double the amount of time spent in reactive maintenance tasks. Make sure that your appointed reactive person/crew has ready access to reliable transportation and the means to navigate easily between your facilities. Even in these days of smart phones and onboard GPS tracking, your crew can take a wrong turn. The quicker they get to and from their emergency assignment, the quicker they can return to their regularly scheduled maintenance activities. If you’ve designated one or more maintenance professionals to handle your emergencies, how do you go about scheduling and planning for the unplanned? Michael Crowley provides a great suggestion: review several quarters worth of repair history (you should be able to extract this from your CMMS system). Derive a weekly average for the number of hours of emergency/reactive work in your organization and then schedule your designated emergency maintenance staff for that amount of reactive work and the remainder of the week’s schedule is allocated to the proactive, predictive maintenance components of the job. So if your weekly average is 20 – 30 hours a week of reactive work, only schedule your designated emergency staff for 10-15 hours of proactive work every week. Based on your organization’s history, the rest of the 40 hour work week will be filled with the maintenance chaos that is a daily occurrence. The proactive tasks assigned to the emergency team should be relatively simple, quick to complete and easily dropped or postponed without impacting the asset being worked on or the outcome of the proactive task. The method that you use to communicate work orders and emergency requests needs to be at the forefront of your work planning. Carefully consider the dispatch method and create a process that includes adequate work order descriptions, locations of issues, escalation procedures and disposition of the request. 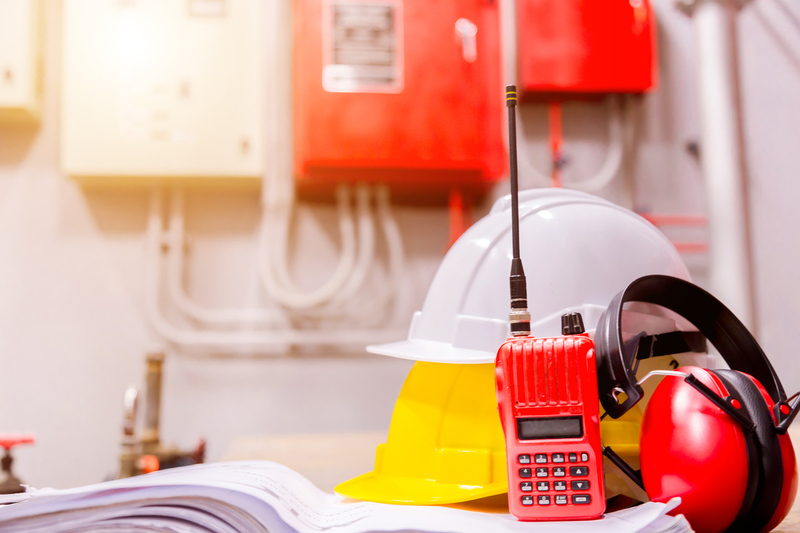 Whether you use a CMMS system or other work order creation, tracking and resolution methods, the key is to ensure rapid response and resolution of the reactive items to allow additional bandwidth for the team to apply themselves to proactive measures that will reduce your emergency work over time.